Sanskrit language has functioned as a repository of various knowledge system and intellectual discourses for more than three millennia. With a view to bring out the holistic perspective of these systems and discourses, the Sahitya Akademi organized a national seminar on ‘India’s Intellectual Traditions as revealed through Sanskrit Sources’ during March 2013 at New Delhi. Most of the papers collected in this volumes were presented in this seminar. They evince fresh insights into India’s intellectual traditions. They emphasize over the scientific perspectives in Nyaya-Vaisesika philosophies and the relevance of Paninian grammar for machine translations and computational linguistics. 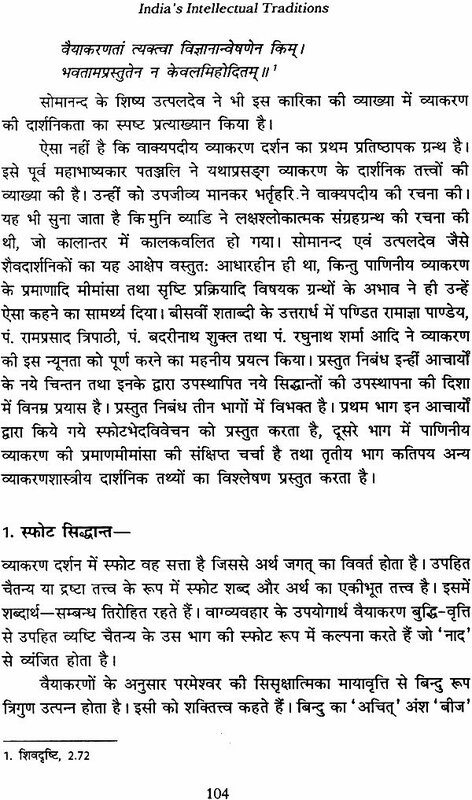 They also establish the humanistic approach of the Tantras and contribution of Sanskrit to global culture. I this elaborate introduction to the volume, Radhavallabh Tripathi, has presented a survey of various knowledge systems in Sanskrit in a historical perspective. The authors of the essays collected in this volume examine the system of Paninian Grammar, Nyaya, Vaisesika, Buddhist philosophy and Alankarasastra (literary theory) to explore their relevance in modern times. They also address the problems which confront society today. The hermeneutic studies made here encompass the broad outlook and logical approach to issues of life. They evolve a framework of humanistic culture and pluralism. Radhavallabh Tripathi has been Vice-Chancellor of Rashtriya Sanskrit Sansthan and was Professor at Dr. Hrisingh Gour University, Sagar. He has published 167 books, 223 research papers and critical essays as well as translations of more than 30 Sanskrit plays and some classics from Sanskrit into Hindi. He has received 35 national and international awards and honours for his literary contributions. 4. The age of expansion and cultivation of branches of Knowledge-second millennium AD. Various intellectual traditions underwent through these four stages with a continuous development throughout these millennia. There is a common belief that Sanskrit language and its traditions stopped developing after the tenth century AD and instead of original thinking only commentaries were produced. The view of decline of the sastric learning through the past centuries has become so deep rooted that any theory suggestive of the idea of a continuous growth of the tradition is not taken seriously. If the colonial outlook had its own design, the orientalism during the eighteenth and nineteenth centuries also undermined the creativity of Sanskritic discourses in later age. There has been an undercurrent of geo-politics that leads to a marginalization and over-all neglect of these traditions. There have been various other forces - socio-political conditions and internal dichotomies also that have functioned as deterrents for the growth of these traditions. But nowhere the tradition supports the: idea of a decline. The theory that Indian Intellectual traditions declined after the X century was postulated under an orientalist discourse and it needs to be seriously re-examined. There is no idea of a decline anywhere in the tradition till the nineteenth century. None of the authors who created new sastric texts seriously believed in the idea of deterioration. The socio political conditions might have led to a certain stagnation at the surface level. Our scientists were not tortured the way a Copernicus or a Galileo is tortured. Scientists like Aryabhata might have met a certain amount of resistance from the priests, but there was no church to put them on trial. India has been and must remain a country that thrives in plurality. The tradition of open debate has continued till the twentieth century and we have always been - the 'argumentative Indians'. The orientalist discourse had started with a view of Sanskrit as a dead language and the researches and studies under it were presented in the format of postmortem reports. It simply overlooked the life forces that sustained Sanskrit and led to its resurrection after its socalled deaths. There have been researchers in west drawing their bone of contention by the way of faking news of repeated deaths of Sanskrit. They also kept their eyes shut on the renaissance that occurred in the thought processes and knowledge systems cultivated in Sanskrit during the nineteenth and the twentieth century. And yet the scenario remained dismal as the intellectuals and modem Sanskrit scholars in India joined hands with these outsiders, and knowingly or unknowingly paved the way for the geo-politics that has been denying the continuous growth of Sanskrit-based knowledge systems. The 'conspiracy of silence' functions at several levels - Ignoring Indian indigenous technologies, creating a divide between the practices and the theory of the knowledge systems and denial of the attempts at viewing the knowledge systems in a holistic perspective. The knowledge- systems like Vyakarana, Jyotisa, (Astronomy and Mathematics), Chandas (Prosody). Alankara (Literary Theory and Aesthetics), Natyasatra etc developed through the above-mentioned four stages in India. They remained vibrant and constantly growing. Veda stands as basic source for these traditions. Three subjects were essentially taught during the vedic period - Anviksiki (logic), Trayi (three Vedas) and Varta(Agriculture and Animal husbandry). Kautilya later on added the fourth discipline in this trio - the Dandaniti or the Science of Governance. From Veda, i.e. 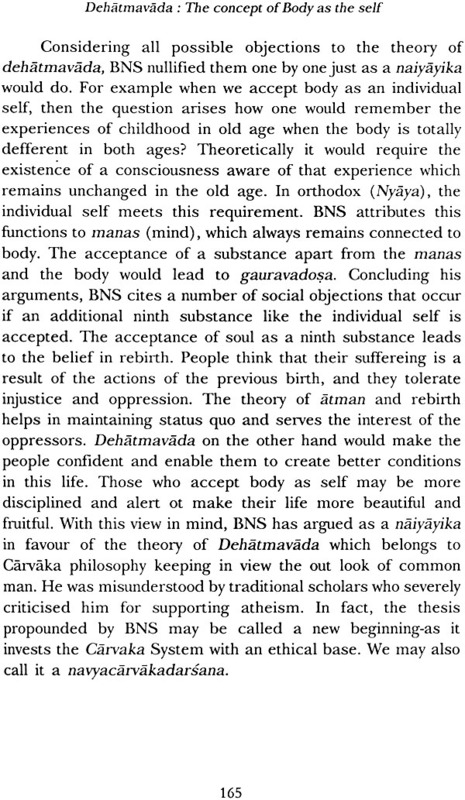 the vedic semhitas and the brahman texts - six vedangas developed. These six vedangas formed the first systematic corpus of Indian knowledge systems. Four Vedas and six vedangas counted with four other intellectual traditions- Mimamsa, Nyaya, Dharmsastra and Purana- became fourteen Vedas. 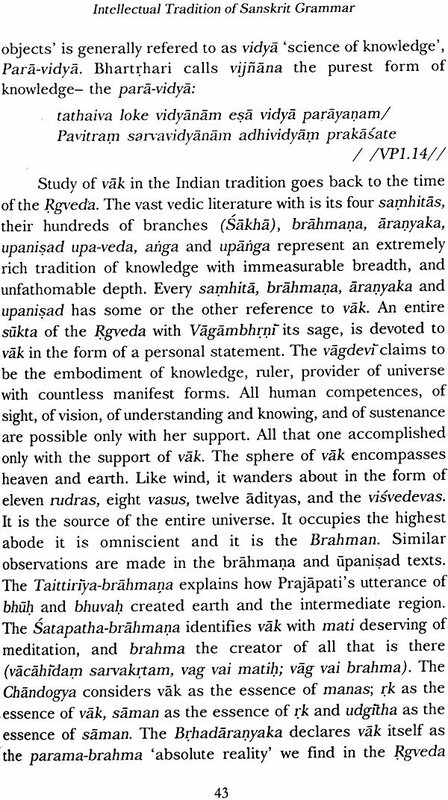 The Chandogya Upanisad speaks of nineteen vidyas. Sukraniti, a latter text, takes the number to thirty two. 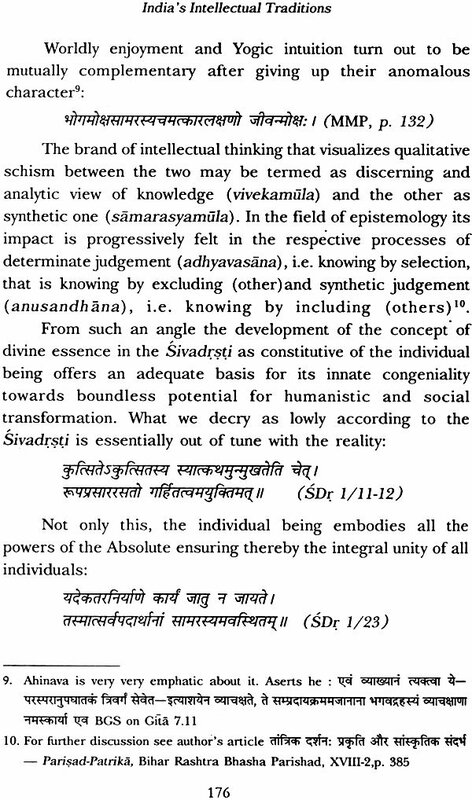 The history of these Vidyas or knowledge-systems reveals their constant growth from one to many - singularity to plurality - through the four stages as above. 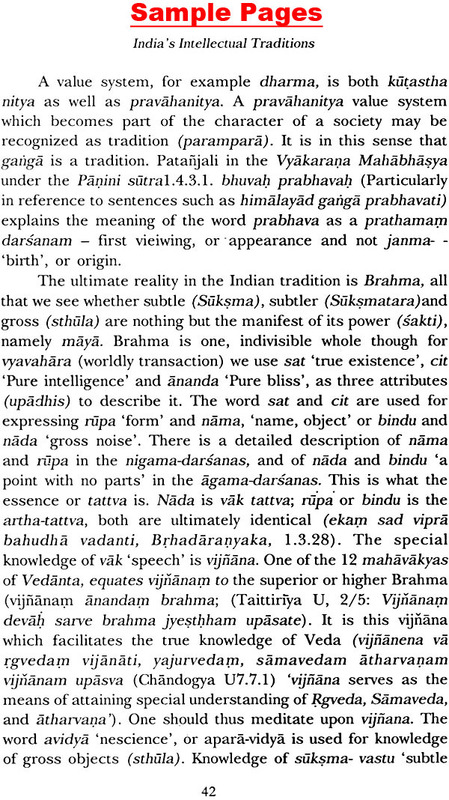 Vyakarana or Grammar is said to be the base for all the intellectual traditions - mulam Vyakaranam proktam. It has functioned as a feeder for various philosophical systems and has developed its own epistemology and ontology. Like other systems of knowledge, systems of Vykatana have undergone through the stages of development during the course of more than three millennia. 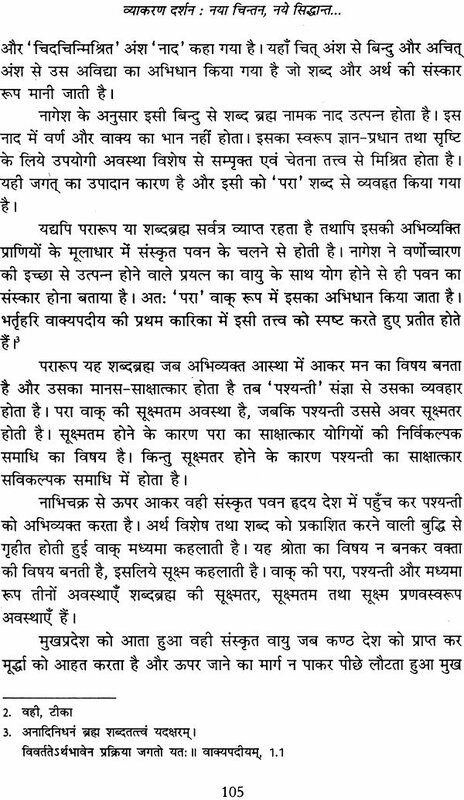 The great savants in the field of vyakarana flourished during the second phase, i.e. the age of evolution beginning from 1000 Be. It is in this era that authorities like Yaska, Vyadi, Panini, Patanjali and Katyayana were born. 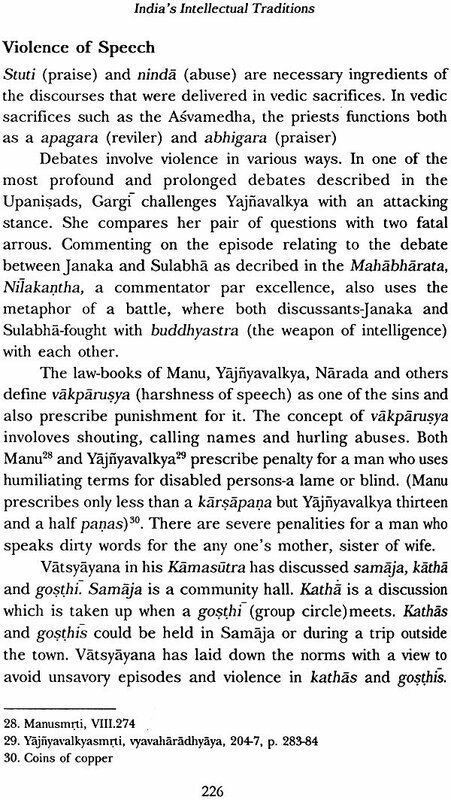 The discourse under Vyakarana acquired philosophical depth and insights in the study if language during the first millennium AD. In is in this third phase of the development of this Sastra that the magnum opus of Bhatrhari - the Vakyapadiyam - on the philosophy of grammar - was composed and one of the most authoritative and voluminous exposition of Paninian system - the Kasika- was also produced. In the second millennium of the AD, the whole Vyakarana System was re-structured through Navya-vyakarana or neo-grammar. Recently, there has been a revival of Astadhyayi - tradition, and the whole Paninian system is being re-invented through suitable technical devices. The tradition of Vyakarana thus remained constantly growing. The well known maxim Uttarottam muninam pramanyam (the the validity of latter thinkers is to be accepted in successive order) implies an idea of continuous growth in the system of Vyakatana, so that each successor has greater authority than his illustrious predecessors. 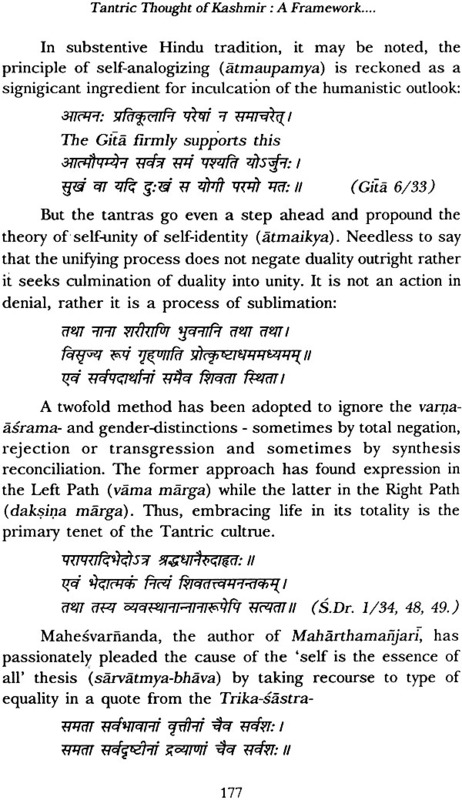 In fact this stands in conformity to what Panini himself has accepted as a rule in his Sutra – vipratisedhe param karyam. (in case of a contradiction, the later aphorism applies). Brahmavidya has been cited as one of the subjects in the curricula that must have been in vogue during the aupanisadic period. Anviksiki was philosophy in general involving quest for knowledge and discussions on vital issues of life. In the second phase of the development of knowledge systems, the Brahmavidya, together with Anviksik, developed into philosophical systems like Vedanta, Mimamsa, Nyaya, Vaisesika, Samkhya and Yoga. The Sutra-texts spelling out the basic tenets of these systems in nutshell had already been composed in the BC era. 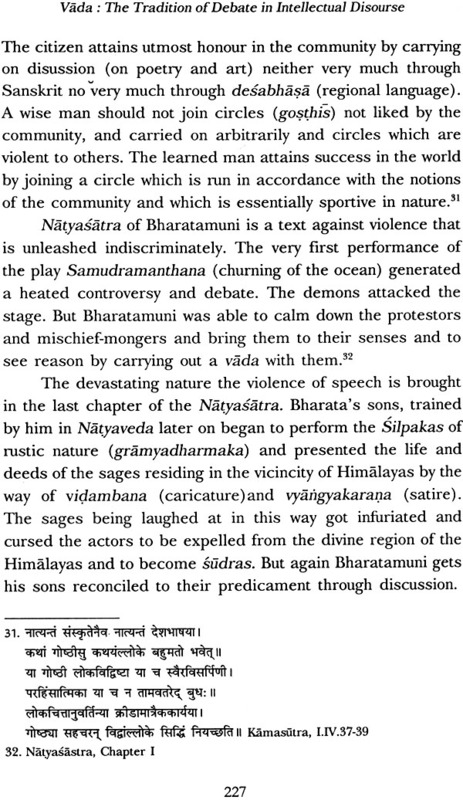 Then came the period of bhasyas and intensive intellectual debates in the first millennium of AD. In the second milliennium there was renewal and resuscitation of these systems. Navya-Nyaya, new Vedantas and new schools of Mimamsa arose.